GO HERE TO SEE IF YOU'RE THE WINNER! Amber is a stay at home mom and loves making things for others. 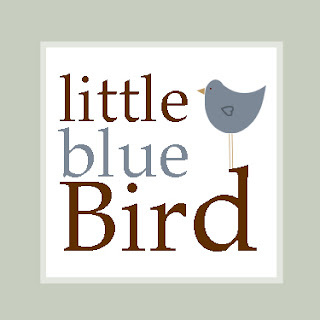 Little Blue Bird was started so she can share her love of knitting and sewing. There is nothing like a handmade gift! Amber is so talented - she has completed 50+ custom orders and has made hats for clients in the US, Canada, Australia and Germany! 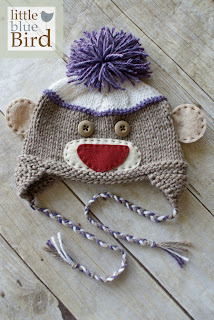 LOVE that monkey hat! In fact, I'm throwing in a picture of my own little monkey wearing one! ...and just about anything you can make with felt or yarn! Too cute!! They come with 2 felt characters on clips that can be attached to anything you want. The winner will choose which 2 animals and colors that they want. Leave a comment for each entry, and make sure to leave your email address if it's not included in your profile. I want to be able to contact you if you win! Entry #1 So cute! I "liked" her fb page. Entry #2 I especially love her caps with the felt bird and the ones with the little felt fish. I liked Little Bird in FB and left a comment. I love the felt hair clips. 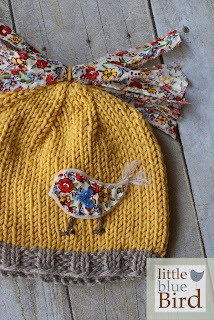 I love the vintage birdie hats! I love bird things anyway but hers are tooo cute! I like you on fb. I like the edward and elly elephant hat. I liked LBB on FB! I now wish I could knit. Her stuff is fabulous! Trying to pick my favorite item on her site is simply impossible. The vintage beanies and the vintage rose hat are just so, so fantastic! 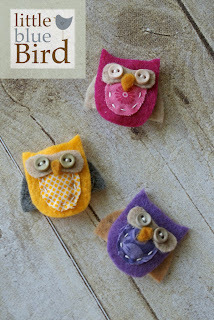 I love the mini owl hair clips! my favorite color is blue! I love her feltie elephant and frog - those are probably my favorites right now. I also love those knit bunnies.... too sweet ! I would love to get one of her sock monkey hats! Too cute! Love the Grace hair clips!! My favorite color is yellow!! 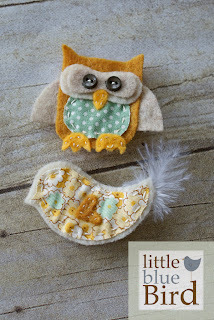 I LOVE the owl hair clips! Orange is my fav color! 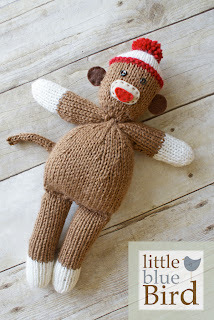 I think the sock monkey hat is my favorite item! So cute! I follow you with GFC and email! My favorite color is Green! I liked her on FB and left some love. I like the wild thing hat and the owl clippies. I follow the Artsy Fartsy blog. My fav color is teal/turquoise. I liked her on FB. The monkey hat is my fave. I'm happily following you. Thanks for linking up at Market Your Biz and Giveaways. The images and content of Artsy-Fartsy Mama are protected by copyright laws. DO NOT distribute or copy the content found within this blog without written permission. DO NOT edit or remove watermarks from any image. If you would like to share an image, feel free to pick ONE IMAGE only with a direct link to its original post. 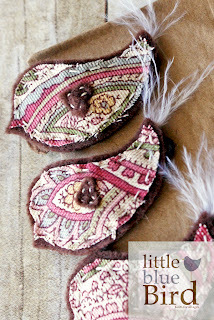 If linking to one of my free printables, only link to my blog post and not the printable link. Free printables are for personal use only and may not be altered in any way. For questions, please contact me. Thank you! Posts on Artsy-Fartsy Mama may contain affiliate links which will result in a very small amount of revenue earned when a purchase is made via that link. This revenue allows me to continue to run this website and provide high quality content for my readers. Thank you for your purchases and support! © artsy-fartsy mama. All rights reserved.